Trucks on little boys are adorable. 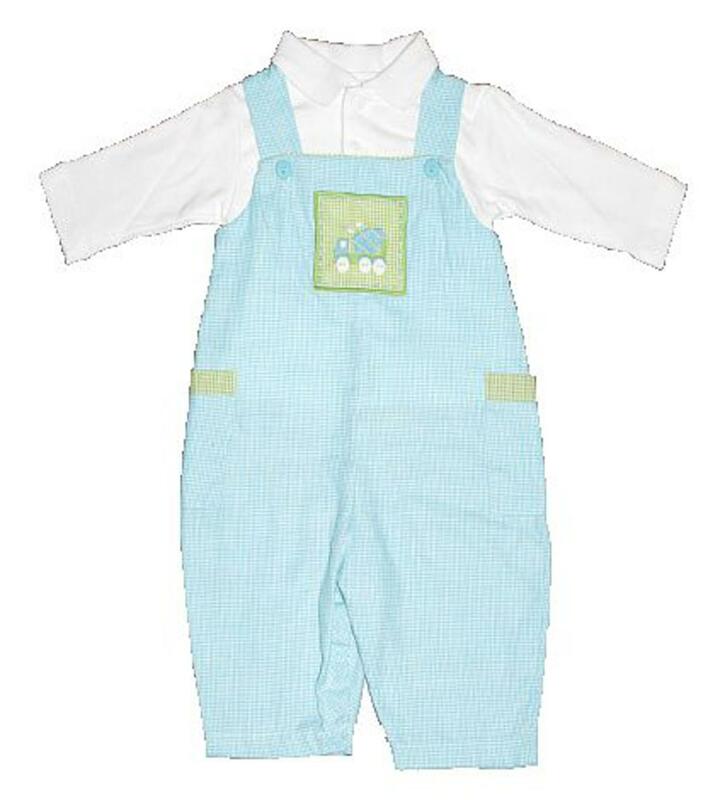 The turquoise and white gingham check longall has a truck patchwork applique on the chest. There is two pockets on the side of the overalls that have a green and white checkered accent to match the patchwork. There is two buttons on both sides of the chest to get on/off easily and snaps on the inside of the legs to accommodate diaper changes. There is a longsleeve polo shirt for underneath the overalls. There is buttons down the front of the white longsleeve shirt and a collar. This super soft and comforable outfit is 100% cotton.